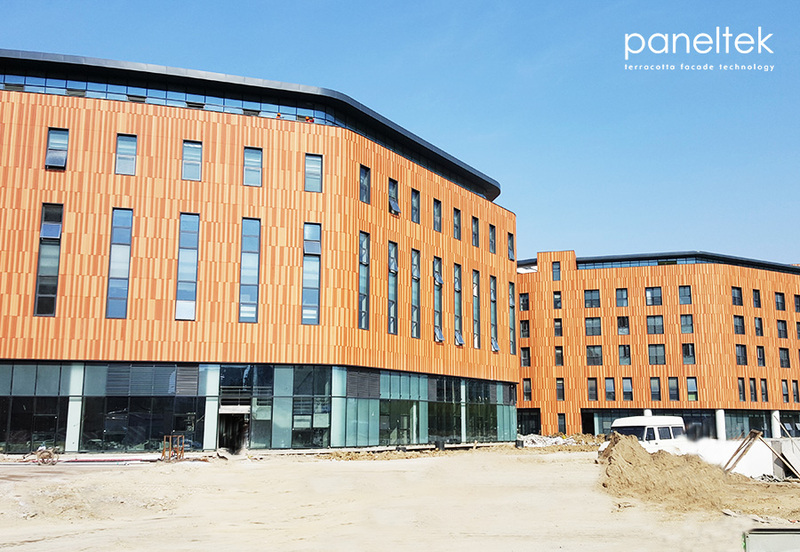 Panetek Terracotta panels are availble in many different colors, textures and Sizes. 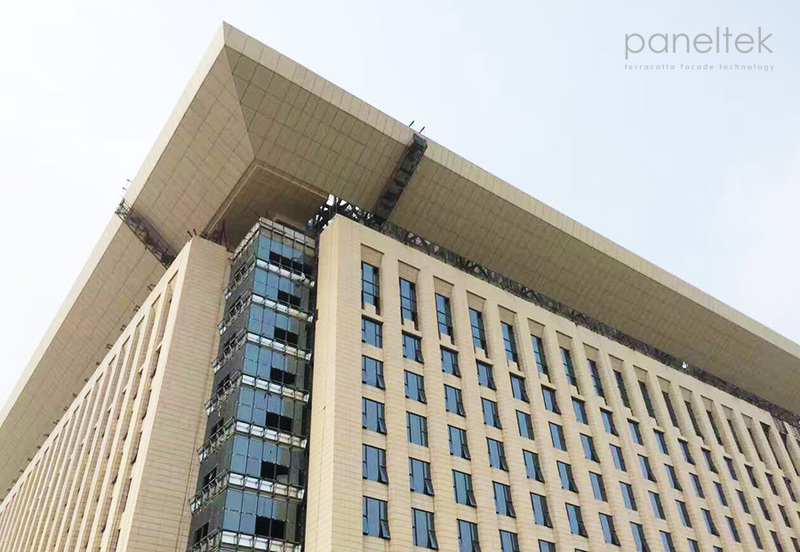 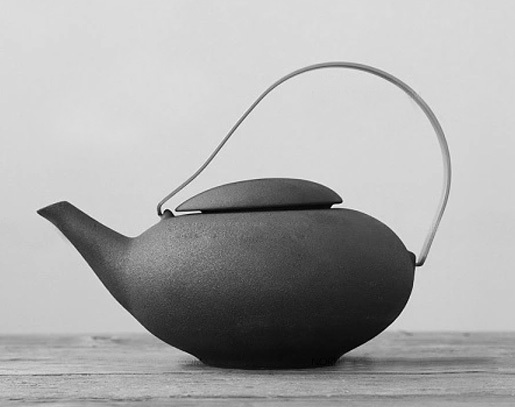 Including Sanded Surface, Glazed Surface, Grooved Surface, Polished Surface, Lined Surface etc..
Their production technologies makes Paneltek be able to meet most innovation ideas of building envelope designers and architecturers. 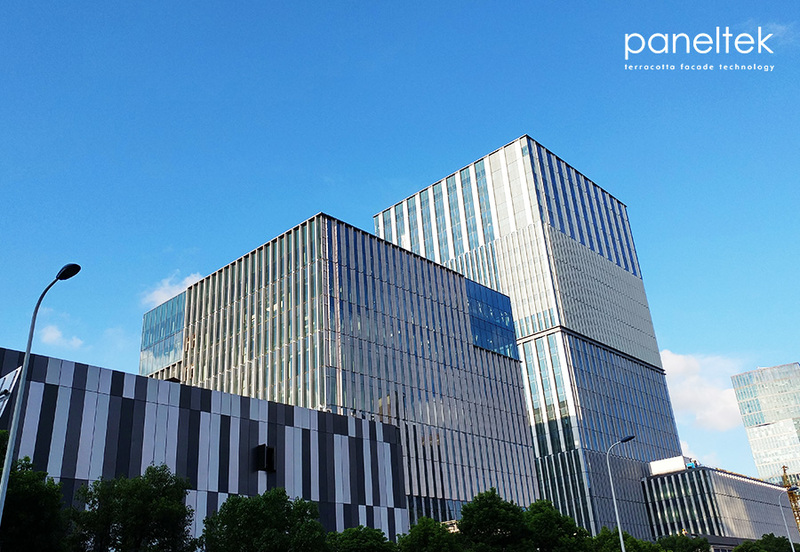 The perfect mix and match with galss and ceramic panels,create a harmonious sense of the landscape and space,interpret the marvelous blend of nature and space. 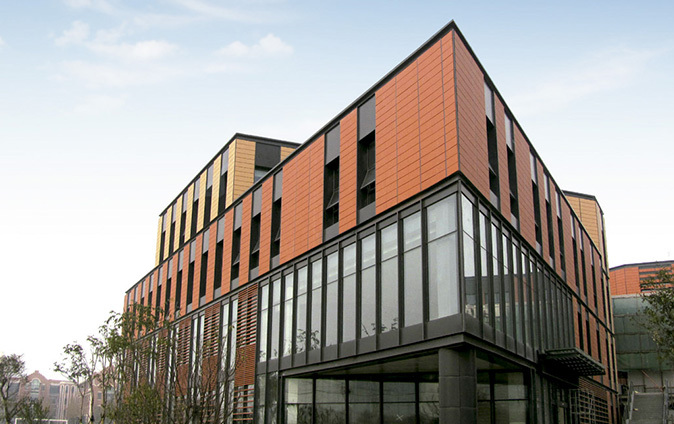 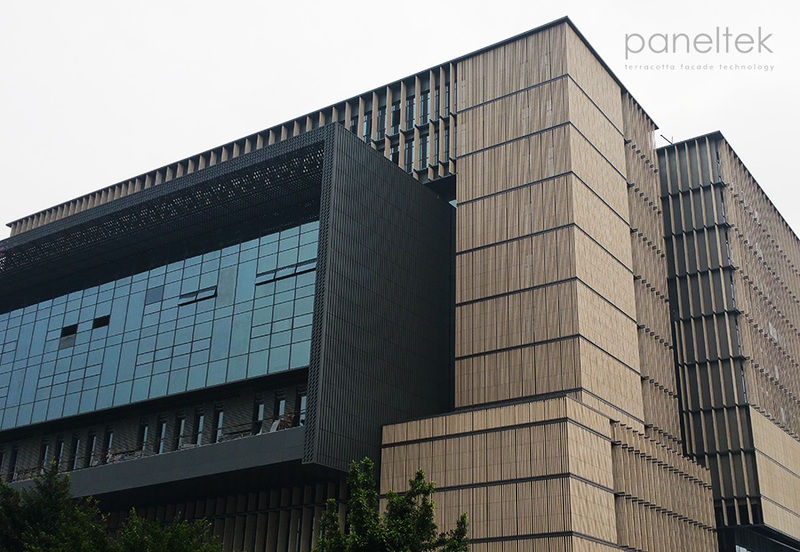 The Terracotta ventilated facade is an exterior cladding system for buildings, the ideal combination between the maximum level of aesthetic appeal and the best thermal features. 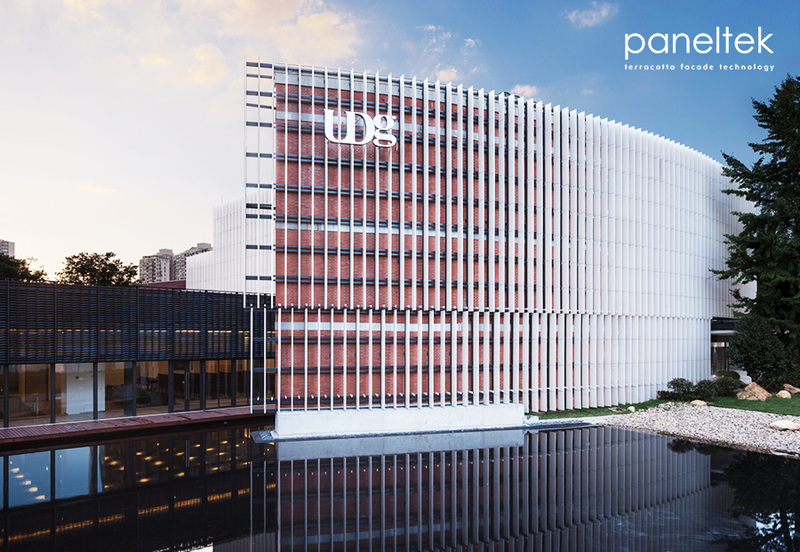 This ceramic ventilated facade system is ideal for new projects and also in the redevelopment, restructuring or reorganization, allowing operation with minimal impact on building inhabitant.